One of the most common questions asked by visitors to Stonehenge is”Who built Stonehenge?” and this post tries to help you understand more to be able to answer ir. Although it cannot be said for certain who exactly built Stonehenge, researchers have now collated enough data to hypothesise with a degree of solidity what they and their lives may have been like. Interestingly, academics are now arguing that it was not one single people who erected the structure, but rather myriad groups of peoples over a time span of hundreds, or perhaps even thousands of years. We must bear in mind that when we speak of Stonehenge, we speak not just of the structure itself, but of the larger man-made complex of which it was a part. Indeed, the stones were once merely the pinnacle of a broad space engineered to include various monuments, features, burial mounds, and ditches. It is conjectured that the complex was begun by the ‘Windmill People’, semi-nomadic folk from the East of England who gradually moved west and began to adopt one of the world’s first agrarian economies. It is thought that these people, who held circles and symmetry to be sacred, dug out the first burial mounds and circular furrows in the area. The second group to have impacted on Stonehenge is thought to be the Beaker people (named so because of their custom of burying the dead with ceramic drink-ware). The Beaker people added their own collection of burial mounds to those left by the previous inhabitants, a fact that is discernible because of the distinct shape of the Beaker graves. The third and final group considered to be responsible for the erection of Stonehenge is the Wessex people, a highly-advanced civilisation who developed road networks which they used as trading routes, and who lived under a sophisticated chieftain system. The ‘Wessexers’ were among the first civilisations of the Bronze Age, meaning they had advanced knowledge of metalwork, and were able to develop and use metal tools. It is fairly certain that these people were the ones who left multiple carvings of daggers and axes on the faces of some of the sarsen stones. Who Moved and Mounted the Stones? Yet it is still not decided precisely which of these groups were the most likely to have built the Stonehenge circle itself, the most magnificent and mysterious engineering feet of the site. Certain facts lend themselves toward attributing the structure to each and every one of the groups. Indeed. the Windmill people revered circles and symmetry, correlating neatly with the pattern the stones were laid out in – yet were the least likely to possess the necessary technology, manpower and organisation to see the projects through. The Beaker people were more sophisticated and had a clear knowledge of material production, as well as the ability to create transport networks, but the formation of the stones fits less snugly with their cultural beliefs and practices. The Wessex people were the most advanced of the bunch, and thus more likely to possess the skills required to move the stones from their place of origin in Pembrokeshire to the Stonehenge site – yet the method by which they might have done so has yet to be discovered. 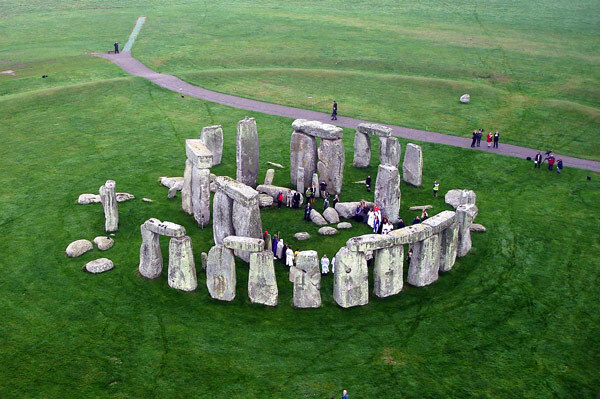 If you are interested in visiting Stonehenge while staying in London then SightseeingToursLondon.co.uk offer an afternoon trip from London and returning back in just a few hours. This was you can take your knowledge of Stonehenge and see it for real and understand the true magnitude of the work that must have taken place to move these huge stones into their current position.